Our professional, timely services get the job done right, first time, every time. 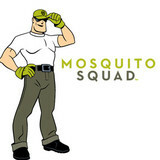 Fully licensed and insured, we offer pest control, exterminator services, and insect removal; all at competitive prices. For friendly and professional service, call I.T.S. 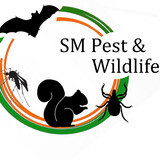 Pest & Wildlife Control at 617-640-4202 today! Since 1978, we have been keeping families in the Metro-West area safe and pest free. We are a small local, family operation and our mission has been you. We’re dedicated to revolutionizing the way homeowners and commercial properties experience pest management in the Metro- West area. Our main focus is the safety of your family, home, our employees and the environment. We achieve this through education, technology and the minimal use of chemicals. We utilize state-of-the art technology and low-toxicity materials, including organic treatment methods, to protect the environment, your health and safety. We use extensive prevention methods as well to help provide a pest-free environment. People often say there’s something unique about our team of professionals and our services. It’s because we don’t approach our clients as another box on the day’s list of tasks. From the time we started WPC Pest and Termite Control, we’ve known we’re not just solving pest issues; we’re helping individuals, families, and businesses attain healthier, more comfortable, productive environments – environments conducive to thriving families and operations. Unwanted guests are never fun, especially when you can’t ask them to leave. Luckily, Natick pest control companies have no problem kicking them out. Whether there’s a rodent in your basement or insects in the attic, call your local Natick exterminator to take care of them — do not try to wrangle them out yourself! 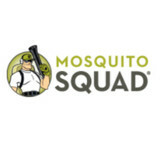 Not sure which type of home pest control service in Natick, MA can tackle your issue? Read profiles and ask about their past experiences to get a good idea.